The Office of Global Strategy and Initiatives and the Center for Faculty Development and Excellence will host a workshop on Fulbright Scholar grants for U.S. faculty on Monday, March 16. Cate McCraw, a program officer with the Fulbright Scholar Program, will give a presentation on Fulbright Scholar grants for U.S. faculty and professionals. In addition, there are two new offerings this year: brief one-on-one meetings for faculty who have questions about the process and a panel discussion with Emory Fulbright recipients. • For one-on-one meetings, which run from 9–11 a.m., register by sending a project abstract by email to Allison Adams, by March 6. • For the presentation by McCraw, set for 12:30–2:30 p.m. in the Jones Room on the third floor of Woodruff Library, register online by March 12 to attend. • Registration is not required for the panel discussion, which includes Foster, history professor Joe Crespino and business librarian Lee Pasackow. It takes place from 2:30–3:30 p.m. in the Jones Room. It started with a woman chopping wood in a rural Mexican village. It was 1972, and she was going to use the wood for heating and cooking, but the axe came down the wrong way and hit her foot. She needed serious dressing and antibiotics but the doctor only came to town once a week, and people lined up the night before to be seen. Foster didn't have any medical experience — she was a college student majoring in Latin American history and literature. Then again, no one in the village really had the experience, and somebody had to change bandages and make sure people were taking the their medication. "So I just volunteered to do that follow-up for that doctor. I got very inspired to be a public health nurse," Foster says. "So I changed my life." Four decades later, Foster is packing her bags for Santiago, Chile, where she'll be working to improve maternal and newborn health in the Americas through a Fulbright grant. 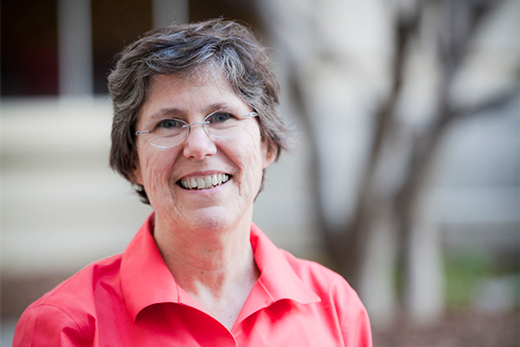 She's now an associate clinical professor at Emory's Nell Hodgson Woodruff School of Nursing, and she's the school's very first Fulbright winner. A lot has happened in between. She gave up her Latin American studies major, moved to Rochester to get a bachelor's degree in nursing, then set off for Guatemala as a Peace Corps volunteer. "That really opened my eyes to becoming a nurse-midwife," Foster says. "So many problems were related to maternal health, and I saw the impact that really good care could make." When she returned, she spent the next few years darting around the U.S. — earning an MPH at Johns Hopkins, getting exposure to rural health care in Mississippi, opening the first midwifery practice on the Hawaiian island of Molokaʻi — before settling down in Massachusetts, where her two sons were born. It was there that she became drawn to issues of culture and health care, enrolling in UMass Amherst's cultural anthropology PhD program. "It seemed to me that many of the most pressing and intractable maternal-newborn public health problems were related to culture," she explains. It wasn't long before she encountered some of the cultural complexities that make certain public health issues so entrenched. 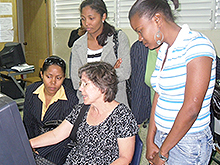 In 2004, Foster became involved in a research project in the Dominican Republic, where the maternal mortality rate is surprisingly high for a lower-middle-income country. Medical education is so affordable there, just a few hundred dollars per semester, that there are more doctors than nurses, and midwives don't even exist as a cadre of worker. "Historically, medicine has enjoyed more prestige, more authority, more potential for income than nursing," Foster says. "Nurses there don't have the advanced practice options that we have here, with nurse practitioners and nurse-midwives." 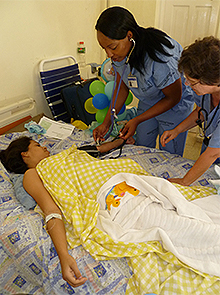 Foster led a community-based participatory research project with Dominican nurses, and the work of improving maternal-newborn health in the Americas became a calling. Yet Chile has a 47 percent rate of Cesareans, which increase the likelihood of a host of complications for mothers and babies. In the U.S. it's 33 percent, while the World Health Organization considers only 15 percent necessary. Over the last six years, Foster has traveled back and forth to work with faculty at the University of Chile's School of Midwifery. Still, she felt she could have more impact if she were fully immersed in the setting. Plus, it had been a lifelong dream of hers to win a Fulbright award. She began designing a study with the director of Chile's midwifery school to investigate the country's high C-section rate. "They have good outcomes, they don't have high maternal or infant death, but they have very high Cesarean rates which carry a lot more expense, more infections, more risk for future pregnancies," Foster says. "Why aren't midwives practicing according to the evidence?" Asked about her Fulbright application process, Foster confides, "This was actually my second attempt. I applied the previous cycle but I was put on a waitlist, and the Chilean Fulbright Commission asked me to re-apply. This time around, the first thing I did was contact Kevin." That's Kevin Kelly, who leads Emory's new Global Fellowship Faculty Support resource out of the Office of Global Strategy and Initiatives. While Foster reached out to past Fulbright winners, Kelly reviewed her original and new proposals, providing feedback for her resubmission last fall. A few months later, she sent him an email that read simply, "I got it!" In Santiago, Foster will create a data collection system to help midwives compare their practice to others. "It's part of the professionalization of midwifery," she says. "It's also about the humanization of care. Our health system has become so fragmented — we talk about patients, not with them — and Chile is facing the same issues." She will also work with her Chilean colleagues to find ways to better support midwifery throughout the Americas. They have trained Bolivian midwives, strengthened education programs in Paraguay, and replicated studies in Uruguay and elsewhere. "I hope there are ways in which some of the things I learn there can become part of my teaching here," says Foster, who is already envisioning exchanges among a small number of students. "There's something very powerful for U.S. students to see how things work in another country where midwifery is so embedded. The opportunities are huge."